Let's face it, when England and Australia meet in the rugby union to compete for the Cook Cup, nobody's thinking about silverware. It's all about pride and getting one over the old enemy. It's certainly not one to miss, and we'll help make sure you get an England vs Australia live stream from absolutely anywhere. 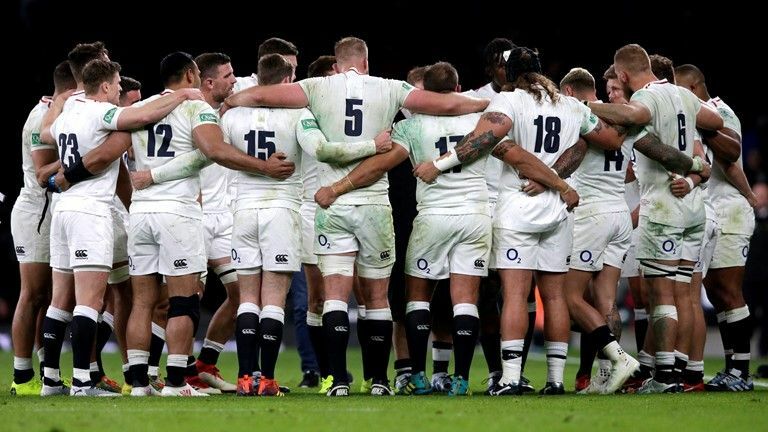 The Autumn internationals have proved a real mixed bag for England, capping off a 2018 that Eddie Jones won't be sorry to see the back off. There were huge positives to take from the unexpectedly narrow win against South Africa and loss against New Zealand, which will make the unit feel more positive going into a World Cup year. But the struggles against Japan show the team's mental vulnerability for all to see. Australia are 1-1 so far, after a shock loss against Wales and then a fairly unconvincing win in Rome. 2018 hasn't treated the Wallabies well either, with a third place finish in the Rugby Championship including a home loss to Argentina. And now illness has hit the squad, they may be without the likes of David Pocock and Bernard Foley for the clash. With a 3pm GMT kick-off set at Twickenham, the form books certainly favour England, too. They've won the last five encounters and will remember the 30-6 thumping they gave Australia this time last year. But when these two meet today, you can throw the records out of the window. It should be an another epic game of rugby and using our easy to follow guide, it's easy to get an England vs Australia live stream - whether or not you subscribe to Sky and no matter where you are in the world this weekend. Once it's been downloaded and installed, open the app and select a UK server location - it's super easy to do. And don't forget that Virtual Private Networks have other uses as well, such as watching Netflix in other territories, accessing blocked websites and generally staying secure online. It's Sky Sports that's snaffled the England internationals during this autumn period. You can watch on either Sky Sports Action or Sky Sports Main Event, with coverage starting on the former at 2pm in preparation for that 3pm GMT kick-off. That also means you can catch it on the Sky Go app, if you're away from TV and watching on your smartphone or tablet, or get access to it with a NOW TV Sports Pass - it's £7.99 for the day, £12.99 for the week or a discounted £179 for the next nine months thanks to NOW's Black Friday offer. Where can I watch the Wallabies in Australia? Reading this Down Under? We can tell you your watching options, too - assuming, that is, that you want to stay up until 2am Sunday morning to watch it. That said, the truth is that your options are pretty thin on the ground. Perhaps it's the unsociable time of kick-off, maybe it's due to Australia's poor form, but it appears that none of the major networks have picked the England game up to broadcast. In fact, it doesn't even look like the RugbyPass.com - an all rugby union subscription service with live games, highlights and more - will have the coverage.